“Carving For Kids” Raises $24,000 for Local Families! 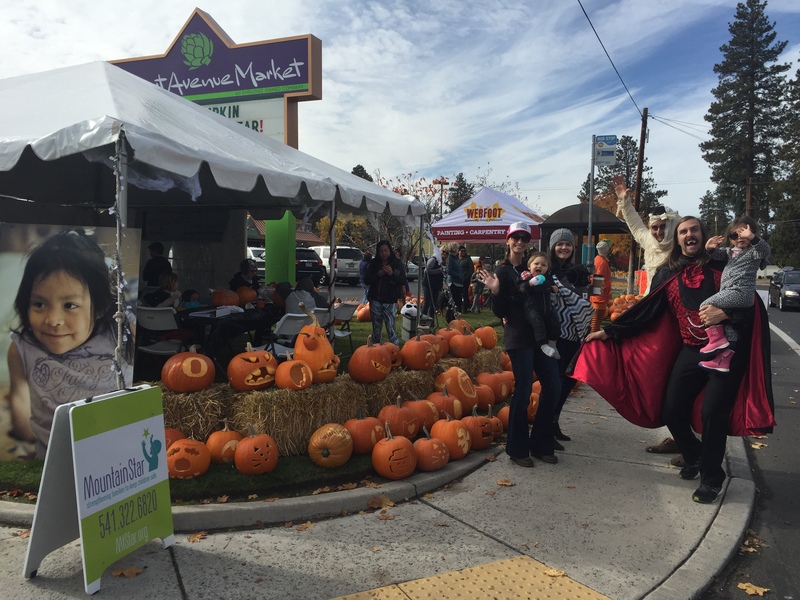 Bend-based business stand-out Webfoot Painting hosted its seventh annual Carving For Kids event to benefit MountainStar Family Relief Nursery on Saturday, October 22 at Newport Avenue Market in Bend. Gavin Hepp and Travis Ulrich, co-owners of Webfoot, set a lofty goal to raise $20,000 to support MountainStar’s work preventing child abuse, which would best last year’s record of $16,400 raised. Through their diligent efforts to carve and sell more than 250 pumpkins in three days, the Webfoot Painting crew raised over $24,000! •	Webfoot Painting staff for volunteering their time to harvest, load, carve, and prepare 250+ pumpkins for the event! •	Newport Avenue Market for providing the perfect venue! •	Jones & Roth, P.C.